A lack of magnesium can create several problems for someone who has this deficiency. This is because magnesium is the fourth most abundant mineral that you will find in the human body. Actually, 50% of this mineral is found in the body’s bones. It has many functions for you and I that many people may not realize. It assists us with normal muscle functions and helps the heart beat regularly. It is also very important to help keep bones strong. You many not have a lack of magnesium if you eat the right foods because it can be found in many green vegetables that make up a healthy diet. You can also find it in some beans and whole grains. Interestingly enough, you can get this mineral from your tap water. However, this may vary depending on the type of water that you have in your home. For example, hard water has more of this mineral than soft water. It is recommended that you get 400 milligrams of magnesium each day. If you are concerned that you may have a deficiency you will want to start looking at the foods you are eating to determine if you are getting enough of this mineral. So, how would you know if you have a magnesium deficiency? Well, there are some symptoms that you may experience. People often begin with simple flu like symptoms. He or she may have a loss of appetite or feel sick to their stomachs. They may also feel very tired. However, as this deficiency get worse, so will the symptoms. They may have numbness or tingling in their muscles and they may also have muscle cramps or seizures. If left untreated it can lead to other complications like low levels of calcium in the blood as well as low potassium levels. Because many of these symptoms can also be related to other disorders and complications, you should never diagnose yourself. If you are feeling ill you should consult your doctor. You can be better prepared for this meeting if you think that low magnesium is the problem by starting to keep track of the foods you eat and monitoring the amount of this mineral that you take into your body on a daily basis. Diet plays a very large role in our health and you may need to make some changes. You should also know that a lack of magnesium could also be caused by some different medications such as diuretics and some medications that are taken to help treat cancer. Therefore, you should also notify your doctor of any medications you are taking. This will help him or her diagnose the problem. 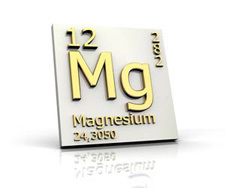 There are different ways to increase the magnesium levels in your body. The first way is to improve your diet. You should eat a variety of different whole grain breads and pastas as well as greens and beans. However, this may not fix the problem if your levels are that low. Because of this, you may need to have this mineral replaced in your body by an IV. You may also be prescribed a supplement pill that you can take. You should never take these without consulting a doctor because it can have negative side effects for individuals that already suffer from other complications like kidney disease. As you can see, magnesium plays a vital role in a lot of normal body functions. This is a mineral that may be forgotten as we select our daily foods. However, there are so many different disorders that it can play a role in that range from cardiovascular disease to type 2 diabetes that it is something that should not be taken lightly. Ask your doctor what role a lack of magnesium can play in your health. Having a better idea of this may motivate you to make healthy decisions.